Birthday Parties are for Members only. If you are not yet a SM&NC member, we can fill out a membership application and include that associated fee with your deposit. See our membership page for more details. Let us help you celebrate your child’s next birthday at Stamford Museum & Nature Center. Programs are appropriate for children of all ages and will be adapted to suit your child’s age group. All birthday parties include a one-day pass to SM&NC for all of your guests. Birthday Parties are a membership benefit and may only be hosted by current members. Not a member? Join today and take advantage of this unique benefit! This is our most popular birthday offering. 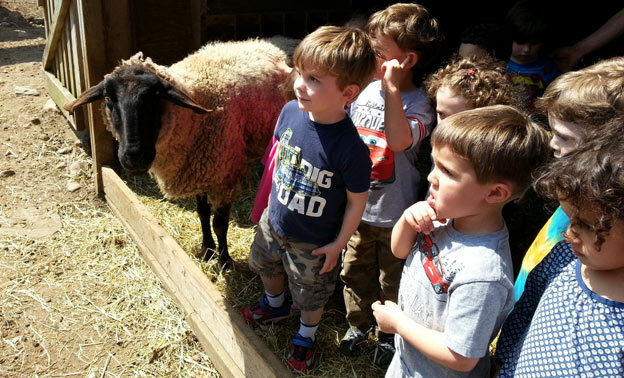 This interactive program will allow the children to get up close and personal with many of the animals that call Heckscher Farm home. An SM&NC educator will lead the children from the Chicken Coop to the Cheshire Barn. The kids will be able to feed our chickens, sheep, and goats as they learn all about our farm animals. The tour lasts approximately one hour. This party is for children of all ages. Farm parties are limited to a maximum of 25 children, including birthday child(ren) and siblings. Fantastic Farm Birthday Parties are available on Saturday and Sunday only and take place in Heckscher Barn’s Great Room. SM&NC Nature Birthdays are available on Saturdays only and will be held in the Overbook Nature Center classroom. Parties include small indoor play area with blocks and animals. Due to classroom size, these parties are limited to a maximum of 20 children, including birthday child(ren) and siblings. Share your birthday with some scaly, slimy and furry critters! We’ll get nose to nose with reptiles, amphibians, mammals and invertebrates. Children will have a chance to meet our nature center animals, including lizards, hedgehog, chinchilla, rabbits, frogs and tarantulas. Parties will be feature 8-10 live animals, many of which children can touch and hold. The program lasts approximately 45 minutes. A great party for your budding scientist! Through a number of hands-on experiments, children will discover the mysteries of polymers, states of matter and more! We may make slime or snow, see how a volcano erupts, turn a film canister into a rocket or explore the science of color. Experiments will vary depending on age and group size. The program lasts approximately 45 minutes. For a truly unique and memorable venue, host your special event on the picturesque 118-acre former estate of Henri Bendel. The large mansion boasts a beautiful dining and dancing area for up to 150 guests. Our high-tech, comfortable conference center is ideal for off-site meetings and smaller private parties. With a working farm, universally-accessible woodland trails, meadow space with on-site tents and picnic tables, observatory, interactive museum galleries and planetarium, the Stamford Museum and Nature Center is the ideal spot for your next company outing or social gathering. 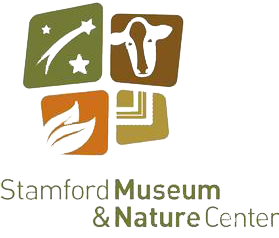 To request use of the Stamford Museum & Nature Center, please download and complete the Facility Rental/Use Request Form. For more information contact Cate Carlucci, our Social & Private Events Manager at 203.977.6523 or ccarlucci@stamfordmuseum.org.